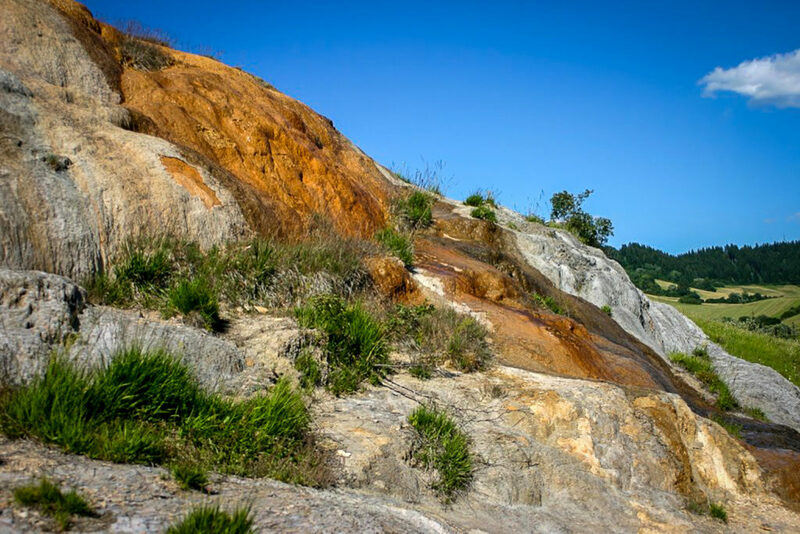 Protected natural area, which one of the most interesting and valuable places of its kind in Europe. 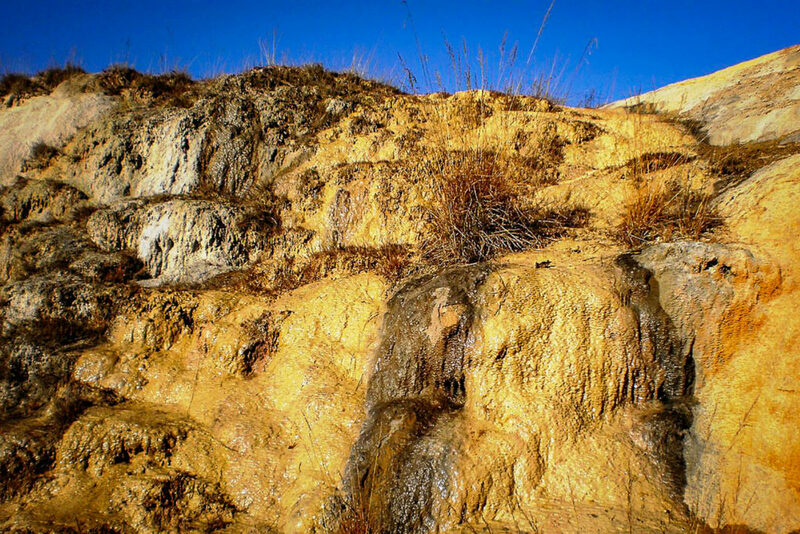 Travertine is a special type of limestone, which is formed by the precipitation of mineral or thermal sources rich in calcium carbonate. 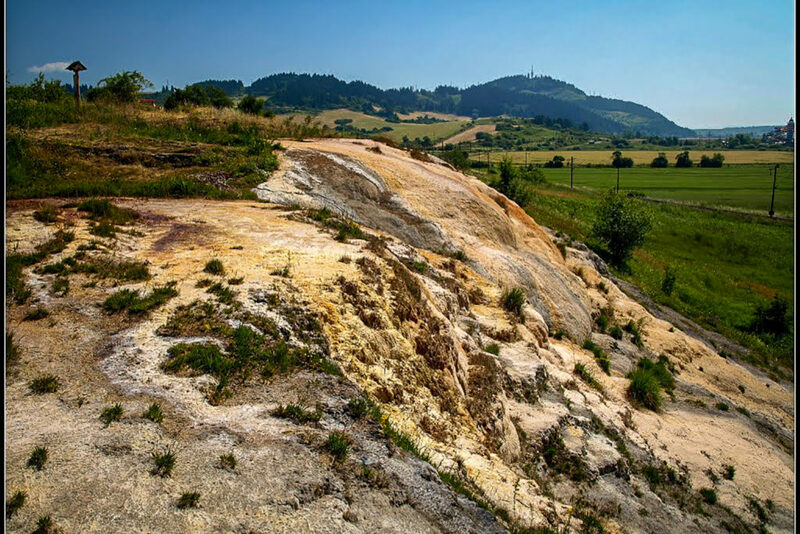 Travertine from Bešeňová consists of four separate parts: Red Terrace, a travertine rock called Kaplnka, a spring travertine crater above Váh river so called pool and white Terraces with dead travertine and several solitary mineral springs. Mineral water from Bešeňová travertines is drinkable. It has a slightly iron but pleasant taste. The spring is located near the famous thermal aquapark Bešeňová. 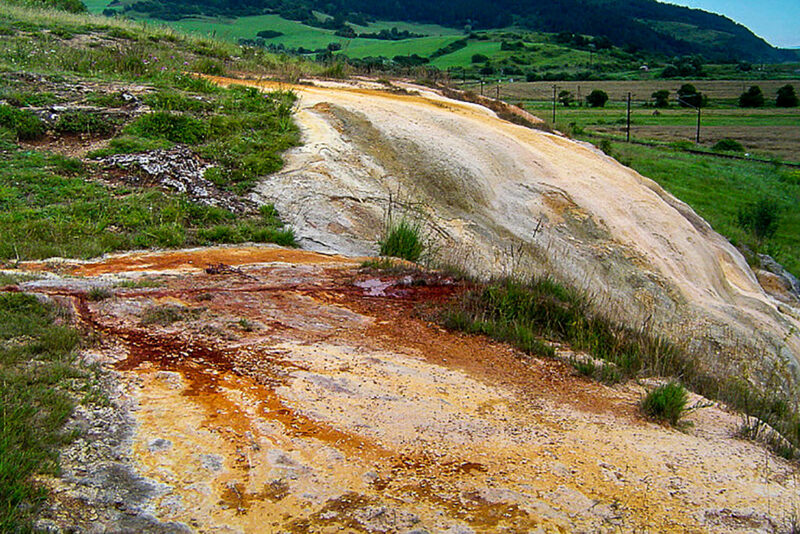 In the past, the yellow-green so-called "golden Bešeňová travertine” was mined here. Its polished gold plates decorate the Comenius University building in Bratislava. It has been used in construction of other buildings within European countries, such as Switzerland, France, Belgium and Germany.